Today’s guest post comes to you from David Angel of DelveintoEurope. David is a phenomenal photographer whose work has been featured in The Guardian, The Observer, The Independent, The Times, BBC and Visit Britain to name a few. David was also art director for Visit Wales for 14 years. David and his wife Faye are hard at work creating a blog that will provide expert travel resources for folks planning to travel within Europe. In the 12th century, Pope Callixtus II declared that three pilgrimages to Bardsey Island gained the same spiritual benefits as a single journey to Rome. The North Wales Coastal Path as it has become known as is a 75 miles route 75 along the northern coast of Wales to Anglesey. Decorated with three massive and famous castles that immediately grab a tourist attention the Wales Coastal Route is peppered with Welsh treasures. Bardsey is a remote island off the Llŷn Peninsula in North Wales that still attracts pilgrims into the 21st century, and the journey there along the main medieval route (the coastal path of Wales) is a wonderful trip through some of the most jaw dropping landscapes in the UK, with some beautiful ancient churches to discover. Since you are in North Wales you mustn’t miss Snowdonia National Park it is one of Wales most incredible treasures you can read all about Tasha’s camping trip in Snowdonia’s Natural Beauty. I should point out that I’ve never actually set foot on Bardsey, but it’s not for the lack of trying. I’ve been booked on three cancelled sailings there, and spent over a month staying nearby waiting for a suitable day which never came. I’ve also flown over it three times. 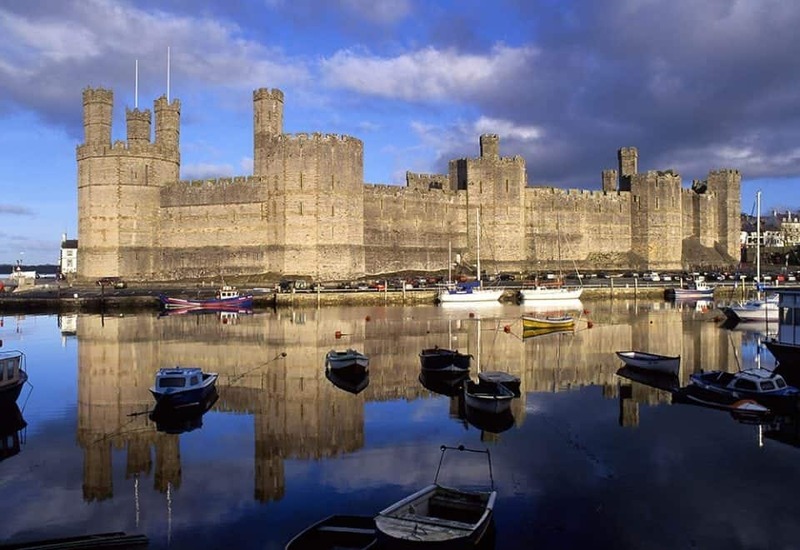 The logical place to start the journey down the Llŷn (sometimes Anglicised to Lleyn) is Caernarfon, home to the mighty Castle at the point where the Seiont river flows into the Menai Strait. The Castle and town walls have been a UNESCO World Heritage Site since 1984, and if you’re in North Wales for any length of time, it really is a must-see. The formidable castle walls were modelled on the city walls of Constantinople, and were never breached. The A487 is the main route south from Caernarfon, but it’s worth a brief detour along the coast road that runs across the river from the Castle instead. Continue along the coast for about a mile until you reach the tiny, isolated church of St Baglan. It may well be closed, but it’s still worth seeing as it’s one of the best remaining examples of a Welsh llan, an enclosed settlement including a church. As you drive along the narrow minor road, the landscape of the Llŷn reveals itself, dominated by the three jagged peaks of Yr Eifl (often called ‘The Rivals’) looming over Caernarfon Bay. 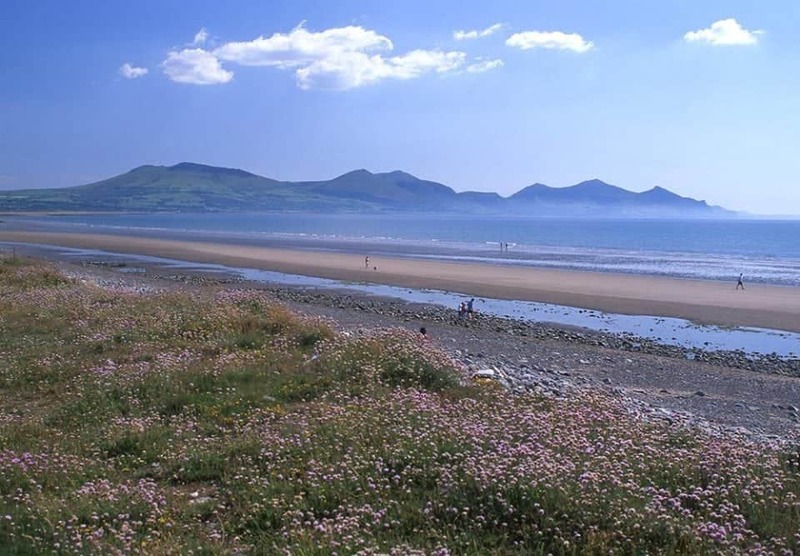 It’s worth following the backroads past Caernarfon Airport to see the outstanding beach at Dinas Dinlle, one of the most scenic on the entire North Wales coast, before heading inland to join the A499 road south. You soon pass another great beach at Aberdesach, before reaching Clynnog Fawr. The road now sweeps past this tiny village, but don’t miss it. 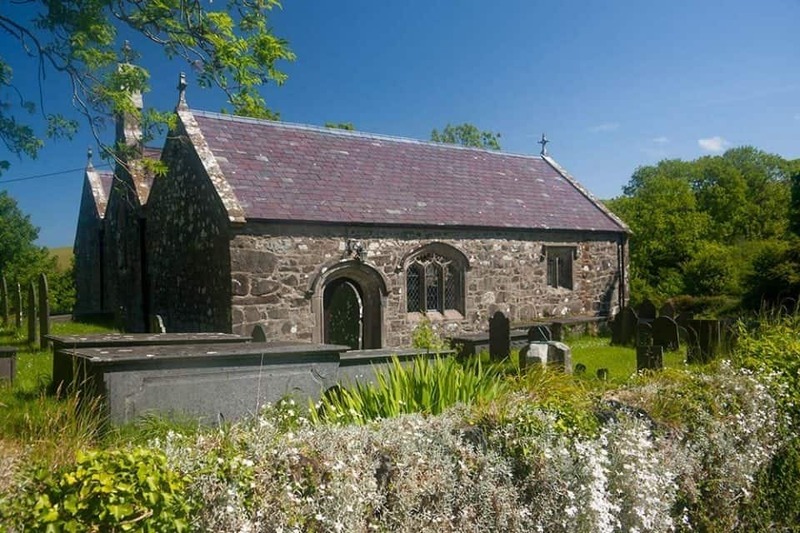 The grand church of St Beuno is known as the Cathedral of the Llŷn, and it was one of the most important stops on the pilgrim trail south. Pilgrims’ donations ensured there was enough money to spend on the magnificent late Gothic building. We don’t know how much medieval pilgrims would have been distracted by the scenery, stopping to enjoy the mountains and beaches. I hope that as well as the serious spiritual business they also took some time out to enjoy themselves. It’s hard to imagine many of them making the trek to the next stop on our journey, but it’s one I suggest taking a few hours out to fit it in. Tre’r Ceiri – the Town of Giants – is one of the most evocative ancient sites in Wales. It’s a large Iron Age settlement, an amazingly preserved bastion with outer walls and hut circles spread across one of the three summits of Yr Eifl. It’s one of the most rewarding short hikes in Wales, and if you love photography you have to pack your camera as you’ll be blown away by what you find up there. Turn off the A499 at the village of Llanaelhaearn, taking the B4417 to the right, climbing the steep hill, with the mountain on your right. There is very limited parking space close to the stile and footpath leading up to Tre’r Ceiri – probably enough for four or five cars in total. You skirt the edge of the mountain before turning right for the push up to the summit, eventually reaching the massive walls. The views are phenomenal in all directions – the peninsula coast, hills and the peaks of Snowdonia to the east. Allow 45-50 minutes for the ascent. The next pilgrim’s stop on the journey is the tiny church at Pistyll, off down a track to the right off the B4417, in a lovely setting overlooking the sea. The last time we visited, the stone floor of the church was covered with palm fronds for Palm Sunday. 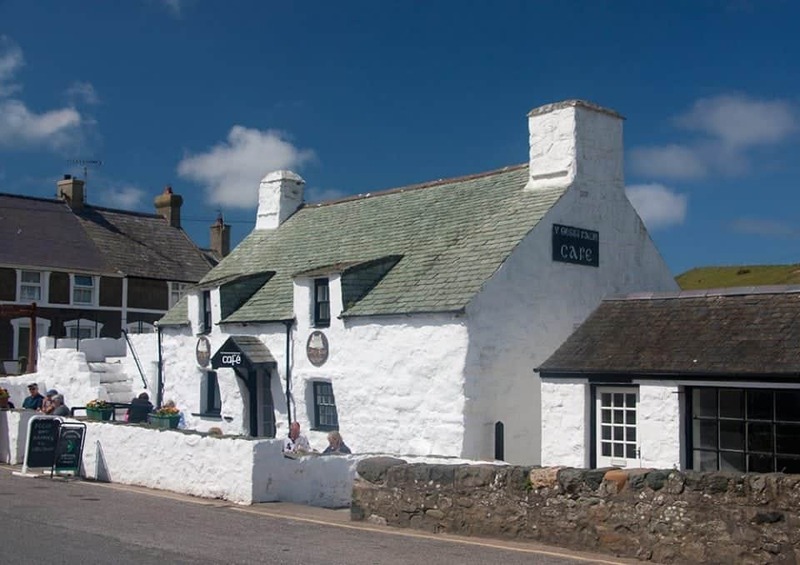 Nefyn is one of the larger towns on Llŷn, and a possible overnight stop – the Nanhoron Arms is ideal, right on the main street. It’s only a short drive here to sister village Morfa Nefyn, and on to one of the highlights of North Wales, the tiny harbour village of Porth Dinllaen. It’s hard to imagine that this peaceful little cove was once mooted as the main departure point for ferries from North Wales to Ireland, but it was, and Holyhead was chosen for that particular purpose. Porth Dinllaen is a wonderfully romantic spot, a dozen or so houses huddled along the seashore, sheltered from the prevailing south-westerlies. One of these buildings is the Tŷ Coch Inn – the red house is right on the beach, one of the best settings you’ll ever find for a pub. You can only access Porth Dinllaen on foot – either along the beach from Morfa Nefyn at low tide, or by walking along the clifftop footpath (around 800 metres) through the golf course. The B4417 continues south-westwards, through the village of Tudweiliog and past the Lion Hotel, which serves great pub meals. The road snakes through farmland, revealing a glimpse of the disused church at Penllech before reaching the right-hand turn for Llangwnnadl. The church of St Gwynhoedl here is another fine edifice built from pilgrim donations. It’s very unusual in that it has three naves, making it very wide and spacious. This section of the north Llŷn coast has some tremendous beaches. Traeth Penllech is the closest, a fine sweep of white sand backed by high cliffs. 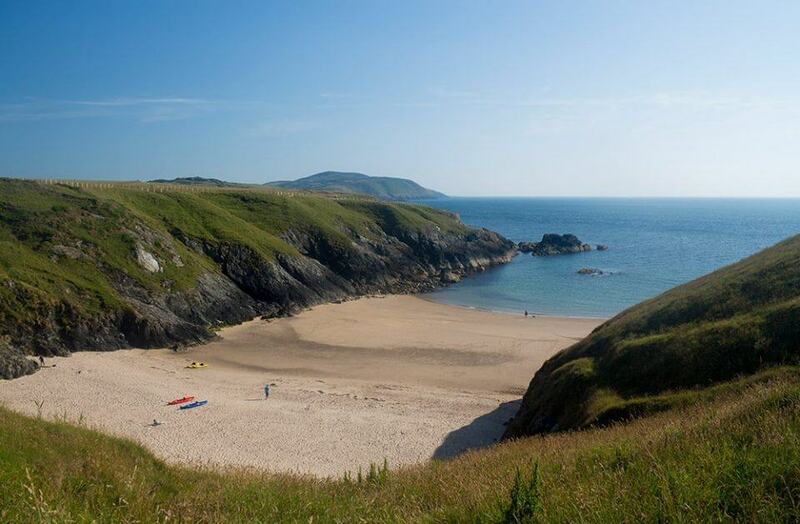 Further down the coast, Porth Iago is a gorgeous secret cove accessed down a farm track, and Porth Oer – better known as Whistling Sands, after the squeaking sound the sand makes beneath your feet. It’s only a short drive from here through the back lanes to the Land’s End of North Wales, Aberdaron. It was also the last stop for medieval pilgrims before making the potentially treacherous journey across the frothy white waters of Bardsey Sound to their final destination. Aberdaron is a wonderful base to explore this remote corner of Wales. St Hywyn’s Church sits in prime position just above the beach – this was the last posting of Welsh poet R S Thomas, who was vicar there until his retirement in 1978. The village also has a lovely whitewashed café, Y Gegin Fawr (‘The Big Kitchen’), which was a hostelry for medieval pilgrims. It also has a couple of great hotels, one the Tŷ Newydd, backing onto the beach. Most boats to Bardsey depart from the nearby cove at Porth Meudwy, though some also make the longer run from Pwllheli, on the south coast of the peninsula. 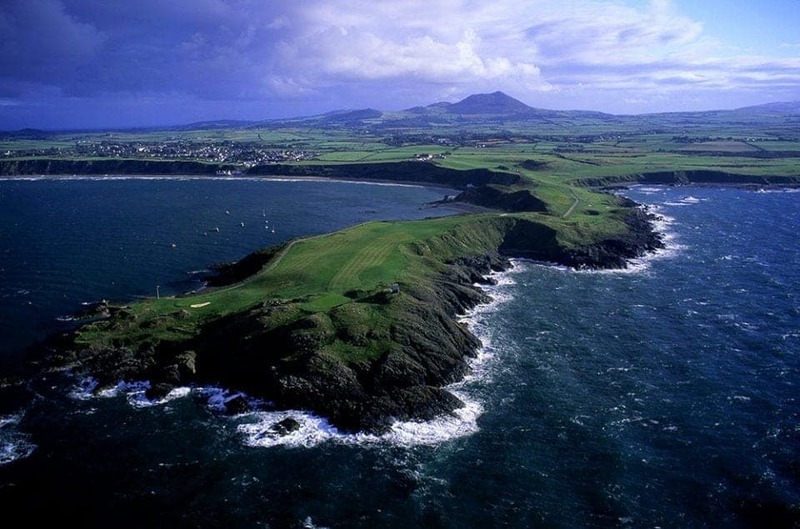 Bardsey’s Welsh name is Ynys Enlli, the Island of the Currents, and crossings are often subject to cancellation. It’s also known as the Isle of 20,000 Saints. The Breton St Cadfan founded an abbey there in the 6th century AD, and some saints were buried there, as well as many monks. The monastery remained for over a millennium, until Henry VIII dissolved it and every other one in the country. 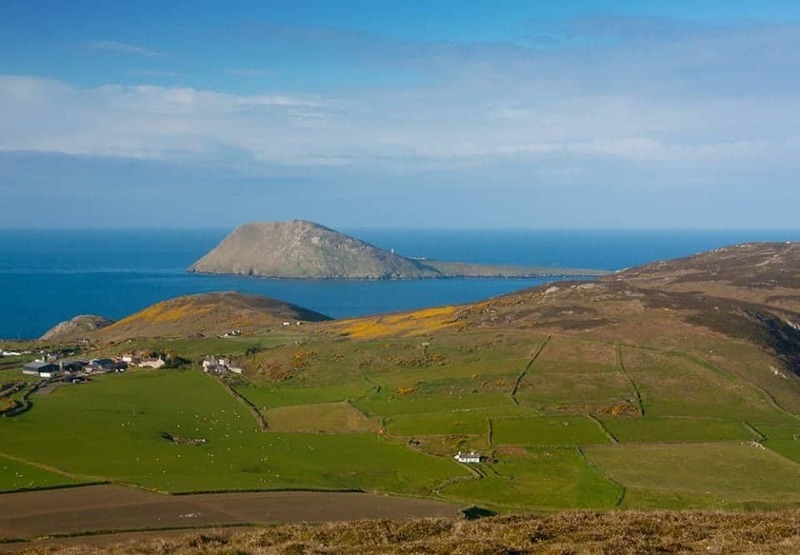 Nowadays, Bardsey is as well-known for its wildlife – primarily seals and migrating birds – as its history. It can be very difficult to reach, as I have learned over many years. 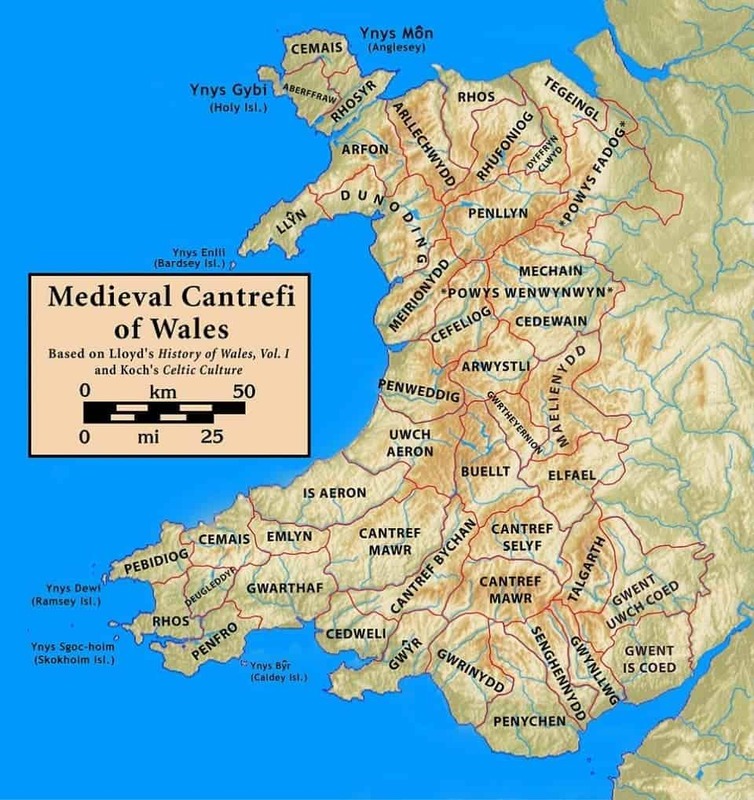 Someone should have told Pope Callixtus that a pilgrimage to Bardsey is at least three times harder to reach than Rome, and then there’s the matter of getting back…..